Well, Target just gave me another reason to love them. You guys go do whatever it was you were going to do, I have to go pick up some cute, reasonably priced items... and then about 27 other cute items I didn't know I needed until I saw them. You see, there was a bit of a kerfuffle a few years back when an employee asked a nursing mother to cover up. 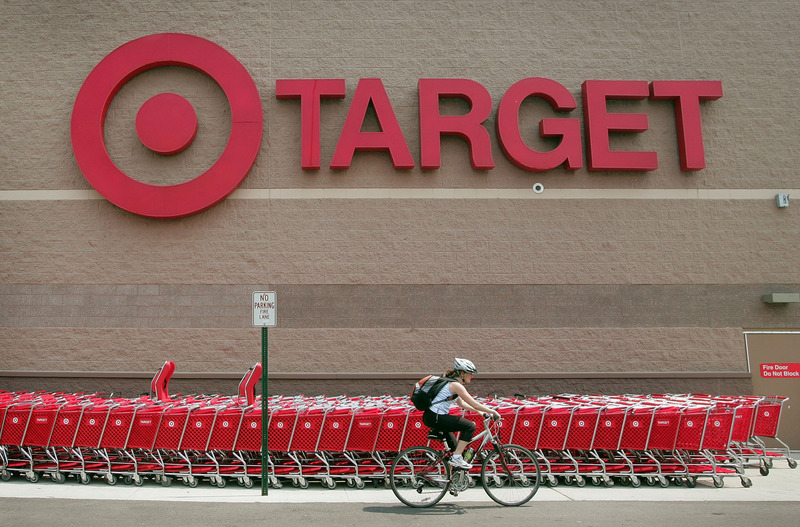 But a copy of Target's breastfeeding policy has recently surfaced online and it's awesome. If you have any questions, partner with your leader. For me, this is relevant and personal. From 2011 to today, I have logged more than 21,184 instances of breastfeeding. I nursed my son until he was 17 months and I'm currently nursing my 13-month old daughter. So reading this, in light of my cultish love of Target, makes me go all fan-girly like "ZOMG you guys! Target is talking about meeeeeee!" Also there's just so much to love. It's extremely straight-forward, simple, reasonable, and, of course, mom and baby friendly. But my absolute favorite part has to be the second bullet point: If you see a woman breastfeeding in our stores, do not approach her. Because this makes nursing mothers sound like bears in the wild. Or like the T-rex in Jurassic Park. Like "Don't move! Her visual acuity is based on movement!" And I like to think I'm just this big, awesome, fierce, powerful force of nature when I'm breastfeeding... though, truth be told the only real similarity between me and these beasts is that all three of us are constantly hungry and often cranky. Of course, while we're on the subject, I feel like now is a good time to remind everyone that Target isn't actually doing anything all that revolutionary. Forty-nine states, the District of Columbia, and the Virgin Islands all have laws that explicitly state that a woman has the right to breastfeed in any public or private location (Idaho, get on my level), and 29 of those states and territories exempt women from public indecency laws (aka you are under absolutely no obligation to cover up if you're comfortable baring your breast). Still, it's always encouraging and commendable to see a private company actually commit to supporting women and make a point to put it clearly in writing. So onward to Target, fellow nursing moms... though, let's be honest: We were probably all on our way there, anyway.